With so many Myrtle Beach golf options and packages, it helps to talk to someone a bit more knowledgeable on what’s available in the area. Before signing on for a particular package you should realize there are over 110 championship courses here, and countless options for Myrtle Beach golf and accommodations. Golf packages are a great choice for stress-free planning, includes Myrtle Beach’s best courses, and any specific ones you wish to play. Accommodations can change by price and time of year, because they are not affiliated with any particular hotels. There are plenty of add-ons, such as rental equipment, breakfast, lunch and dinner, and more. If that all sounds difficult to navigate, there are an equal number of golf only packages you may choose from, to make sure everyone has an opportunity to play on a world class green. Working with MB Golf to arrange your accommodations and Myrtle Beach golf options take the hassle out of your vacation. We know your lodgings are as important to your trip as the golfing, and we can help set that up as well. With plenty to do in the area from visiting any of the 1,800 restaurants to all dinner theatre and watching the special holiday events going on, you’ll have plenty to stay busy with this season. Play some of the Grand Strand’s most affordable and requested championship courses at absolutely Myrtle Beach’s best prices! Many of our fine courses offer drastically reduced rates when your tee times in Myrtle Beach are before 8:00 a.m. and after 1:30 p.m.
Myrtle Beach is one of the most prestigious golf destinations in America. It is home to over 110 championship golf courses that will challenge golfers of all skill levels. We offer the nicest beaches, championship golf courses, and amenities on the east coast. With a large number of golf packages and tee times in Myrtle Beach, no matter when you want to hit the links there is a package for you. If you’re looking to save big on tee times in Myrtle Beach, now is a wonderful time to enjoy the area’s best courses at a fraction of the original cost. Rates are low, the weather is gorgeous and the courses uncongested. Come enjoy the best golf now while the humidity is nowhere to be found. There are some great deals going on right now for tee times and multiround discounted tee times. Be a part of Christmas In Dixie. Celebrate Christmas in Myrtle Beach at the 8th Wonder of the World. Rockin’ Music weekend with the Bounty Hunters and Special Guests. The World Famous Bowery’s 4th Annual Christmas In Dixie! This year’s holiday event will be held on Saturday, December 10th. Tickets, as always, are on sale for just $50 which will include The Bounty Hunters with Special Guests, Beer, Booze and a Buffet from 7 p.m. – 2 a.m. That’s 7 hours of family, friends and fun! Parking is free on Ocean Blvd. Purchase your tickets and be a part of this memorable holiday event before it’s too late! Use our convenient online Golf Course Directory to help plan your upcoming golf excursion and choose which Myrtle Beach golf courses you want to play. Our directory covers courses from Myrtle Beach, North Myrtle Beach, Georgetown, Little River, the Brunswick Islands in NC (Holden Beach, Sunset Beach, and Ocean Isle Beach), Calabash, Wilmington, NC, and Bald Head Island. The directory is listed in alphabetical order and doesn’t give preference to any one course over another. There is a key from $ to $$$ giving some indication of whether the course is less expensive ($) or more expensive ($$$) and of course with increased price comes increased quality of course. Most residents and visitors love our Myrtle Beach golf courses because they can play some of the nicest courses in the country without burning a hole in their pockets. We have many courses that are very affordable and there isn’t a huge wait list to play like in other coastal golf areas. You and your friends can play courses that were designed by professionals such as Love, Nicklaus, Daly, and more! Come enjoy this premiere golf destination any time of the year and we promise you won’t be disappointed. If you have questions about any of the Myrtle Beach golf courses listed in our directory, please call one of our Golf Specialists at 800-422-1587. 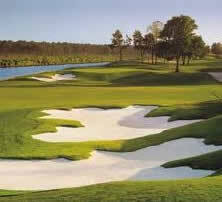 Myrtle Beach, South Carolina, is among the most prestigious golf destinations in America. 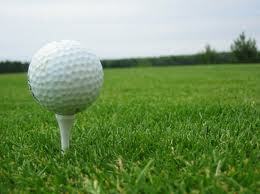 It is home to over 110 championship golf courses that will challenge golfers of all skill levels. If you and your friends want to experience great golf at reduced rates check out our great deals on Myrtle Beach tee times going on now. Come to Myrtle Beach and relax for the weekend while playing championship golf and dining at one of over 1,800 restaurants in the area. We offer many Myrtle Beach golf packages and Myrtle Beach tee times, so no matter where and when you want to hit the links there is a package and tee time waiting for you. 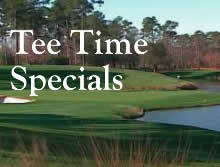 There are some great deals going on right now for Myrtle Beach tee times and multi-round discounted tee times. After playing a relaxing round of golf, you may enjoy attending the 8th Annual Murrells Inlet Oyster Roast taking place on Saturday, November 19, 2011 from 11:30 a.m. – 3:30 p.m. All-you-can-eat oyster tickets cost $30 each advance, $35 on Nov. 18 and 19. Oysters will be served 11:30 p.m. – 2:30 p.m. A menu of other food items (burgers, dogs, chowder and more), beer and soda are separately priced. Free admission to this annual creek-front event. Entertainment. Event is rain or shine. Bring an oyster knife or buy one at the roast. We know you’re into Myrtle Beach golf but if you’re into music too then you’ve picked a great time to come to Myrtle Beach. We have some hot events taking place that are worth checking out. The best part is won’t interfere with morning Myrtle Beach golf tee times! The 2011 Carolina Beach Music Awards Weekend is held from November 9-13, 2011. The awards show takes place at 3 p.m. on Sunday, Nov. 13 at Alabama Theatre. Doors open at 2 p.m. Tickets are available at the Alabama Theatre, by calling 1-800-342-2262 or you can purchase your tickets online @ www.carolinabeachmusicawards.com. Weekend passes will be available at the doors of participating clubs during show weekend only. Passes will be required for Friday night, Saturday night and the Sunday night at all participating clubs. Weekend Pass Cost is $50. If you are a member of the Carolina Beach Music Academy, the pass cost is $45. (Must show membership card with picture ID to obtain discounts). Passes are not required for the following Saturday afternoon activities (Pig Picking, Music Showcase or during the Band Fair on Sunday). All of these events are open to the public. $7 donation for Pig Picking goes to CBMA Scholarship Foundation. At 9 p.m. on Friday, November 11, 2011, Los Lonely Boys will be playing at the House of Blues in Myrtle Beach. Depending on what type of golf trip you are seeking, you can find some very unique Myrtle Beach golf packages offered even when you’re on a tight budget. Several provide three or far more rounds of golf plus accommodations and meals at a very affordable cost. Going during the off-season (after September and before May) will have you golfing within your means. Golfing is probably the most popular sport, and not just any green is going to make the cut when you are trying to plan a golf trip. If you are seeking an attractive location to play, a spot to lodge, and a several extra perks, then it is wise to look into Myrtle Beach golf packages for the trip. The area offers over 110 courses for golfers to take pleasure in, while the lodging and Myrtle Beach golf packages offer some great deals. A golf package with lodging integrated must consist of greens fees, lodging, cart charges, and even taxes. You will have a full list of lodging spots to choose from. How much you pay depends on what kind of lodging you want to stay in and how much golf you plan on playing as well as how many will be playing. 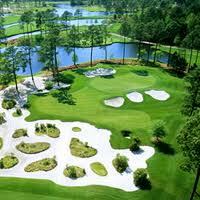 There are also Myrtle Beach golf packages which are just for the golfing, and do not cover lodging. This is a wonderful option for folks that reside in the area, but still want a good deal on their golf courses. Give us a call and we’ll let you know what specials we have on packages if you’re on a tight budget. If you are thinking about taking up Myrtle Beach golf you’re probably wondering what the benefits are in learning the sport. There are many and we’ll tell about the main ones. When you’re ready to learn you’ll find lots of Myrtle Beach golf instructors in the area who would love to teach you the game. Here’s some excellent reasons for learning to play golf. Golf is a game of focus and strategy. You use your mind, your senses and your ability to time and coordinate movements at every step of the game. Training yourself to focus in this way will have useful applications not just in other sport, but also in other areas of your life. Swinging a golf club works your arms, shoulders, lower back and your abdomen. Each hole on a given course can be separated by anywhere from 200 to over 700 yards. Unless you rent a cart, you’re going to be walking those yards and lugging around a bag full of clubs, too! Golf is also a game of respect — for the rules as well as other players. Some would say that golf is the most ‘civilized’ or ‘dignified’ of sports. Even though you may want to ‘best’ your ‘competitors’, the person you’re really playing against is yourself. Myrtle Beach golf is a much more inclusive and accessible past time for the average person, as well as anyone else looking for an informal activity to share with friends, clients, partners, colleagues, etc., than it used to be. It’s a great social outlet to the point that communities are built around golf courses and lifelong friendships are made.